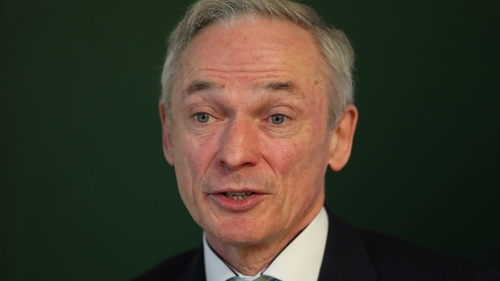 Minister for Education and Skills Richard Bruton has confirmed that the Government has made no budgetary provision to address pay inequality for recently recruited teachers and other public servants. Speaking at the Teachers' Union of Ireland conference in Wexford, Mr Bruton noted that while €870 million had been set aside in the Public Service Stability Agreement for general pay restoration over three years, the new entrant issue had been put into a separate process. He said that while the Minister for Finance Public Expenditure and Reform Paschal Donohoe had not made provision in budgets for that, he would be sitting down with unions to discuss this. He said the Government realised that new entrant pay was not just an issue for teachers, but applied to 270 grades across the entire public service - and that addressing it in full would cost €200 million of taxpayers' money. He added that the while the Government recognised the seriousness of the issue, it also had to acknowledge the constraints operating on the exchequer. He stressed the outcome would be a matter for a decision by Government in the years ahead. Mr. Bruton defended his record in closing 75% of the pay gap between pre 2011 staff and post 2011 recruits. He said he would prefer not to have a threat of industrial action in place when entering into discussions of this nature with unions. He declined to speculate on what penalties the Government might impose if unions took industrial action, saying he said that he hoped unions would be fully involved in the collective agreement. However, he warned that if unions stepped outside of the Public Service Stability pay agreement, that would "create a different situation". Asked about the threat of industrial action by teachers if the new entrant pay issue is not addressed by May, he said the talks presented an opportunity to sit down and discuss matters, adding that he hoped progress could be made. As the Minister addressed the conference, some delegates held up placards calling for the restoration of equal pay. During her response to the Minister's speech, TUI President Joanne Irwin held a roll call of lower paid delegates who stood when their names were called. There was also a standing ovation in support of the more recent recruits on lower pay. Primary teachers' union the INTO is to make a submission to the European Court of Justice in relation to pay inequality for newer entrant teachers. Two members of the union had taken a case, alleging that their lower pay rates, because they qualified after 2010, amounted to age discrimination. Last March the Labour Court referred questions raised by that case to the European Court of Justice. INTO Deputy General Secretary Noel Ward said the union looked forward to making a submission to that court. He said pay inequality was not only unfair and divisive but also, the union believed, unlawful. Mr Ward said the union would show that 75% of new entrant teachers in 2011 were 25 years old or younger, and that this was unlawful age discrimination. The INTO has also been debating a motion condemning human rights abuses against school children in Palestine. An INTO member told delegates of a recent visit she made to Palestine's West Bank where she witnessed the traumatisation of children, the destruction of schools, and control exerted over what is taught. Dorothy McGinley, chairperson of the INTO's Northern Committee told delegates that every year between 500-700 Palestinian children were detained and prosecuted in military courts. She said they could be given up to ten years in prison for alleged throwing of stones at soldiers or insulting the honour of a soldier and they had no access to lawyers or their parents when arrested. Ms McGinley told the conference that many children often confessed and they would then be allowed access to a lawyer. She said the result was usually a collective punishment - a fine, a sentence and the family home demolished. She told delegates that Israeli authorities continue to demolish Palestinian schools citing lack of planning permission, and attempt to impose an Israeli curriculum in Palestinian schools in East Jerusalem. Earlier, the General Secretary of the Association of Secondary Teachers of Ireland warned that teachers will not assess their own students as part of any proposed reform of the Leaving Certificate cycle. The Department of Education and its agencies are beginning to explore how best to reform learning at senior cycle. Addressing ASTI delegates in Cork, Kieran Christie said he wanted to lay down markers. He said teachers were not opposed to reform, in fact they wanted "quality reform" that was in the best interests of students. He said teachers' opposition to assessing their own students for formal certification purposes was not going to change. Their support for externally assessed State examinations was not "for selfish reasons" but because that system met the professional requirements of any national examination, being "fair, transparent, and objective", he said. Mr Christie said that teachers must be consulted as part of any reform process. He said they deserved to have their professional knowledge and experience respected.